Outside of The Beatles and The Rolling Stones, The Kinks were arguably the most iconic of all British bands to emerge during the 60s and their legacy remains among the most enduring in rock’n’roll history. Active from 1963-96, their astonishing career yielded five Top 10 singles on America’s Billboard charts, along with five UK Top 40 albums and 17 Top 20 singles. Their industry awards, meanwhile, include an Ivor Novello Award for Outstanding Services to Music and inductions into both the Rock And Roll Hall Of Fame and the UK Music Hall Of Fame. In terms of influence too, it’s hard to imagine how the British music scene would have evolved without The Kinks’ presence. The band’s music initially inspired contemporaries such as The Who’s Pete Townshend; their 1967 LP, Something Else By The Kinks, would become an important touchstone for The Jam’s frontman Paul Weller when his band recorded their reputation-enshrining late 1970s LPs All Mod Cons and Setting Sons; and, in the 90s, Britpop-era bands such as Oasis, Blur and Pulp all admitted to a long-term admiration of The Kinks’ catalogue. The seeds for The Kinks’ astonishing career were first sown almost 70 years ago. Hailing from the North London suburb of Muswell Hill, the band’s singing/songwriting frontman, Ray Davies, had been in a number of formative combos in the late 50s and early 60s, learning to play skiffle and then rock’n’roll with his younger brother, lead guitarist Dave Davies. Bassist Pete Quaife was also involved in the band’s early endeavours, with the fledgling beat group going out under names such as The Bo-Weevils, The Ramrods and The Ravens before they finally became The Kinks. The band’s first drummer, Mickey Willet, played on the early demo that caught the ear of US-born producer Shel Talmy. His influence eventually secured a deal for the group with Pye Records early in 1964, but the group weren’t entirely happy with Willet. The final piece of the puzzle only fell into place when jazz-loving drummer Mick Avory answered an advert in Melody Maker. With the band’s “classic” line-up in place, The Kinks duly recorded a remarkable run of hit singles and LPs across 1964-65 which launched their truly singular career. The band’s first UK No 1, August 1964’s ‘You Really Got Me’, featured a raunchy, distorted guitar riff from Dave Davies. Achieved through Davies hacking a slice in his Elpico amplifier (usually referred to as his “little green amp”), the riff is often cited as the blueprint for the heavy metal sound later pioneered by bands such as Black Sabbath and Blue Cheer, and it also inspired a generation of US garage bands during the mid-60s. It was merely the first of an extraordinary early spree of hits which also included ‘All Day And All Of The Night’, ‘Tired Of Waiting For You’ and ‘’Til The End Of The Day’, mostly drawn from their initial trio of UK Top 10 LPs The Kinks, Kinda Kinks and The Kink Kontroversy. These were mostly solid British Invasion-style beat group records, with Ray Davies-penned originals rubbing shoulders with choice blues and soul covers such as Martha & The Vandellas’ ‘Dancing In The Streets’ and Sleepy John Estes’ ‘Milk Cow Blues’. Even at this stage, though, there were heavy hints that the band were in it for the long haul. Their futuristic 1965 Top 10 hit, ‘See My Friends’, was a daring foray into proto-psychedelia recorded several months before The Beatles incorporated Indian raga-style sounds on ‘Norwegian Wood (This Bird Has Flown)’, while ‘A Well Respected Man’, the lead track from the 1965 Kwyet Kinks EP, was the first fully realised example of the satirical, narrative style of songwriting that would shortly become synonymous with Ray Davies. The Kinks were arguably at the peak of their powers during the latter half of the 60s. 1966, especially, was an exceptional year for them, as they hit the top of the British charts with two of Davies’ wittiest and most satirical songs, ‘Dedicated Follower Of Fashion’ (which lampooned Swinging London, mod culture and fashionistas in general) and the laidback, aristocracy-related ‘Sunny Afternoon’. The same year’s Top 20 LP, Face To Face, found The Kinks continuing to eschew the hard-driving beat-style music that had initially built their reputation, with Ray Davies painting some of his most memorable character portraits on songs such as ‘Dandy’ and ‘Little Queen Of Darkness’, and the band’s ever-evolving sound absorbing elements of music hall (‘Dandy’), psychedelia (‘Fancy’) and even the Hawaiian-flavoured ‘Holiday In Waikiki’. 1967 then saw the release of the influential Something Else By The Kinks, with the LP featuring some of Ray Davies’ most smartly observed and quintessentially English songs, such as the harpsichord-driven ‘Two Sisters’, the nostalgic ‘End Of The Season’ and the evocative UK No.2 hit ‘Waterloo Sunset’: arguably the band’s best-known number of all, and the song Ray Davies would perform to close the 2012 London Olympics. Lead guitarist Dave Davies also emerged as a songwriter of note during this period, with his songs ‘Death Of A Clown’ and ‘Susannah’s Still Alive’ both making the UK Top 20 chart during 1967. 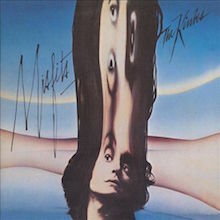 Ironically, while Something Else By The Kinks received sizeable critical acclaim on release (and, years later, it appeared as No.288 on Rolling Stone’s list of rock’s 500 greatest LPs), it only charted at No.35 in the UK, and a relatively meagre No.153 on America’s Billboard chart, this latter placing surely influenced by the ban the American musicians’ union had placed on The Kinks in 1965 (which, in effect, prevented them appearing on TV or in concert in the US between late 1965 and 1969.) Curiously, no specific reason was ever given for the ban, though it’s widely believed to have stemmed from rowdy onstage behaviour between members of the group. Commercially, The Kinks struggled over the next few years in the UK, though they saw out the decade with two fantastic LPs, 1968’s The Kinks Are The Village Green Preservation Society and 1969’s Arthur (Or The Decline And Fall Of The British Empire). Featuring thematic vignettes relating to disappearing British traditions and life in rural England, the former especially elicited rave reviews – and has since been granted multi-disc expanded CD makeovers – yet it failed to chart and spawned just one Top 20 hit, Ray Davies’ glorious, autumnal ‘Days’. By the turn of 1970, John Dalton had replaced Pete Quaife as The Kinks’ bassist and the band had also enlisted keyboardist John Gosling for the underrated Lola Versus Powerman And The Moneygoround (Part One), which featured several brilliantly observed ruminations on the machinations of the music industry (‘Top Of The Pops’ and ‘Denmark Street’), in addition to two enduring hits, the risqué, transvestite-related ‘Lola’ (UK No.2; US No.9) and the infectious, proto-eco anthem ‘Apeman’, which again made the UK Top 5. Strangely, though Lola… was one of the band’s strongest studio LPs, it again missed the UK charts, though it fared well across the Atlantic, charting at No.35 on the Billboard chart, after the band’s touring ban had been lifted and The Kinks began gigging extensively in America. After recording their soundtrack LP for director Ralph Thomas’ comedy film, Percy, The Kinks left Pye and signed with RCA Records. Now part of the Universal Music catalogue, the albums the band subsequently recorded for both RCA and Arista during the 70s and early 80s saw The Kinks achieve greater recognition in the US than in their homeland and are sometimes overshadowed by their legendary discs from the 60s. However, many of these albums have since enjoyed long-overdue critical acclaim and have rightly been granted deluxe, expanded CD reissues. The Kinks opened their RCA account with two of the finest albums. 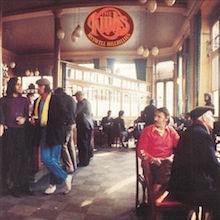 Featuring the debut of their three-man brass section, The Mike Cotton Sound, 1971’s Muswell Hillbillies centred upon themes such as poverty, the British class system and the frustrations of modern life – the latter perhaps best evinced by the opening ‘20th Century Man’, wherein Ray Davies sings “I’m a 20th Century man, but I don’t want to be here.” Stylistically, the record drew upon British and American roots music, ranging from the sozzled New Orleans-esque vaudeville of ‘Alcohol’ to the earthy blues-rock of ‘Skin & Bone’ and the Flying Burrito Brothers-esque country-soul of ‘Uncle Son’. While it sold only modestly (it peaked at No.48 on the Billboard 200), it remains one of The Kinks’ smartest and most satisfying listens. Their 1972 double-set, Everybody’s In Show-biz, concerned the trials and tribulations of the rock star lifestyle and the sheer grind of being on the road – themes Ray Davies would again explore on future LPs such as The Kinks Present A Soap Opera and Think Visual. A strong set, Everybody’s In Show-biz it featured the bittersweet, shoulda-been hit ‘Celluloid Heroes’ and the infectious bona fide UK Top 20 hit ‘Supersonic Rocket Ship’, which concerned the launch of the transatlantic Concorde flight service. The package also included a celebratory live recording edited down from the band’s two-night stand at New York’s prestigious Carnegie Hall in March 1972. 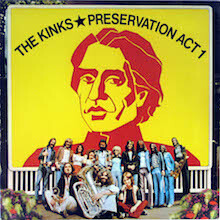 For the band’s next two LPs, 1973’s Preservation: Act 1 and the following year’s Preservation: Act 2, Ray Davies dived headlong into his “Preservation project” – complex concept albums that felt like the soundtracks to musical theatre rather than rock LPs in the strictest sense. Both records divided – and sometimes infuriated – fans and critics at the time, but while they remain sprawling and sometimes self-indulgent outings, both contain fantastic music with Act 1 including the glorious ‘Sweet Lady Genevieve’ and the prescient, anti-gentrification ode ‘Demolition’, and it’s follow-up featuring the swaggering live favourite ‘Money Talks’. The Kinks toured both LPs, taking an extended line-up involving their brass section, backing singers and costumed dancers on the road to promote the LPs during an extensive – and well-received – American tour during the latter half of 1974. The Kinks made two more “concept”-style LPs, 1975’s The Kinks Present A Soap Opera (adapted from a project called Starmaker, for which Granada TV had originally commissioned Ray Davies) and its swift follow-up, Schoolboys In Disguise, which was related to the Preservation LPs insofar as its backstory linked the album to one of those two LPs’ leading characters, Mr Flash. The latter saw success in the US Billboard Top 50, but, after its release, The Kinks left RCA and signed with Arista Records. When they re-emerged with 1977’s Sleepwalker, Ray Davies had trimmed the band back to its fighting weight, ditching both the brass section and backing singers. Recorded at The Kinks’ own 24-track London studio, Konk, and including the excellent ‘Jukebox Music’, Sleepwalker was consequently a leaner, mainstream-inclined album of pop/rock songs and was seen as something of a return to form by the band’s devotees. It was also greeted by a brace of positive reviews and put up an impressive performance on the charts in the US, where it eventually settled at No.21 on the Billboard 200. New bassist Andy Pyle replaced John Dalton after the recording of Sleepwalker and stayed on board for The Kinks’ next LP, 1978’s Misfits. Another hard-rocking affair featuring live favourite ‘Rock’n’Roll Fantasy’ and the robust, anthemic title track, it again did brisk business in the States, where it climbed to No 40 on the Billboard 200. The Kinks then experienced further turbulence in the personnel department, with bassist Andy Pyle and keyboard player John Gosling both departing; new keyboardist Gordon John Edwards and ex-Argent bassist Jim Rodford stepped into their shoes in time for one of The Kinks’ biggest UK successes, the tough, arena-friendly Low Budget (1979), which featured the crunching rocker ‘Attitude’, the vaudevillian title-track and the disco-flavoured ‘(Wish I Could Fly Like) Superman’. This latter rose to No.41 on the US singles chart, while its parent LP shot up to an impressive No.11 on the Billboard 200. The band celebrated this spike in their Stateside popularity by releasing the self-explanatory live LP, One For The Road, in June 1980. Recorded at shows in the US and Switzerland, on what was dubbed the Low Budget tour, the album was a spirited, 21-track affair which again put up a strong showing on the Billboard 200, reaching No.14 and earning The Kinks a gold disc in the process. With new member Ian Gibbons on keyboards, the band then kept up the pressure with 1981’s Give The People What They Want: an unashamed rock LP full of killer hooks such as ‘Destroyer’ (which cleverly reworked the band’s early hit ‘All Day And All Of The Night’) and ‘Better Things’. This latter was a minor UK hit (charting at No.46), but the LP itself was another smash in the US, where it cruised up to No.15 in the charts upon release in August 1981. The Kinks’ next studio LP, 1983’s gold-selling State Of Confusion, was another major Stateside success, eventually coming to rest at No.12 on the Billboard 200. It also spawned one of the band’s biggest hits on both sides of the Atlantic in ‘Come Dancing’: a highly immediate, music-hall-influenced number which drew its inspiration from Ray Davies’ memories of his late sister Rene, who had herself been a keen dancer. With help from a Julien Temple-directed video which enjoyed heavy rotation on the nascent MTV channel, the song zoomed up to No.6 in the US singles chart and also reached No.12 in the UK, giving The Kinks their first significant British hit since 1972’s ‘Supersonic Rocket Ship’. Released in November 1984, the band’s final set for Arista, Word Of Mouth, was another solid set which featured the tough, synth-assisted single ‘Do It Again’. 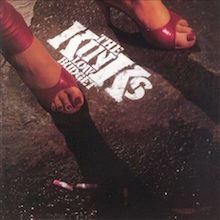 The last Kinks LP to feature original drummer Mick Avory, it again did satisfactory business, reaching No.57 on the US Billboard chart; its release was also greeted by three separate biographies of the band, Jon Savage’s The Kinks: The Official Biography, John Mendelsohn’s The Kinks Kronikles and Johnny Rogan’s The Kinks: The Sound And The Fury. The Kinks signed with London Records in the UK (and MCA in the US) in 1986 and completed three further studio albums. With Bob Henrit replacing Avory (who instead went on to manage Ray Davies’ Konk Studio), the band released November 1986’s Think Visual. The original intention was to make a concept LP centring upon the “spiv” character from the band’s earlier ‘Come Dancing’ hit, but the idea was eventually abandoned and Think Visual morphed into a standard studio LP concentrating primarily on hard rockers such as the blue-collar-related ‘Working At The Factory’ and Dave Davies’ arresting ‘Rock’n’Roll Cities’. 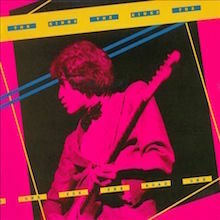 Think Visual was a minor hit on the US Billboard 200, as was 1989’s UK Jive, which featured the memorably abrasive ‘Aggravation’ and Dave Davies’ state-of-the-nation protest song ‘Dear Margaret’ among its highlights. Long-term keyboard player Ian Gibbons left in the aftermath of the LP’s release (to be replaced by Mark Haley), while the four original members of The Kinks briefly reunited for their induction into the Rock And Roll Hall Of Fame, in 1990. The band recorded their final fully fledged studio LP, Phobia, in 1993 for Warner Bros. Another reliably well-crafted set, it featured several sublime tracks such as ‘Only A Dream’, poignant ballad ‘The Informer’ and eco-apocalypse epic ‘Wall Of Fire’. Following the LP’s release, The Kinks played a sold-out show at London’s Royal Albert Hall and also undertook a US tour for which a returning Ian Gibbons replaced the departing Mark Haley. The band released their “MTV Unplugged”-style live LP, To The Bone, on their own Konk label in 1994, and their profile again rose in the UK in the mid-90s when Britpop leading lights, such as Oasis’ Noel Gallagher and Blur’s Damon Albarn, cited The Kinks as a major influence on their own music. However, despite these accolades and the publication of both Ray and Dave Davies’ memoirs (X-Ray and Kink, respectively) The Kinks eventually split in 1996, their last show (to celebrate Dave Davies’ 50th birthday) taking place at The Clissold Arms pub in North London, across the road from the Davies brothers’ family home. The early days of the Kinks saw a band run ragged by the onset of newfound superstardom. the Kinks hit the ground running at an exhausting pace in 1964, with a relentless schedule of touring, recording, and various on-air interviews and performances that would keep them in the charts and jet-lagged until an eventual slowing down into the '70s and '80s. Pared down from a six-volume set that collects every known recording from the BBC archives that the band ever did, The Kinks at the BBC focuses on peak years 1964 through 1977, still cramming in 54 tracks, but leaving the band's less inspired material from the '80s and a wealth of poor-quality bootleg recordings to the absolute completists. The incredible thing about this collection is the time-spanning portrait it paints of not only the Kinks, but the landscape of music and culture they partially represented as the British Invasion gave way to the Summer of Love and then on into even more undefined times. Beginning predictably with raucous live versions of early hits like "All Day and All of the Night" and "You Really Got Me," the set quickly finds the band moving into less beat group waters and Ray Davies' songwriting maturing at an accelerated rate with timeless classics like "Waterloo Sunset" and "Victoria." Top of the Pops performances offer a rougher live take on the band's often polished studio sound. Dave Davies' hard rock-leaning "Mindless Child of Motherhood" sees a rearrangement heavy on acoustic guitar, which unexpectedly works well in the live setting. Conversely, a couple of understandably non-album tracks from the Village Green Preservation Society days like "When I Turn Off the Living Room Lights" drag the quality of the set down, as does a selection of out-and-out bad tunes from a phoned-in 1977 Christmas concert. 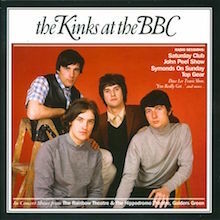 Much like their greater body of work, The Kinks at the BBC rides a relative hot streak for the majority of the set, with uninspired songwriting shifts taking over in the mid-'70s, but still producing the occasional gem. This collection ultimately serves as a chronology of an incredibly important band as it phases through the good, bad, and ugly of an unprecedented run of magical songs in every era. Ray Davies' sentimental, nostalgic streak emerged on Something Else, but it developed into a manifesto on The Village Green Preservation Society, a concept album lamenting the passing of old-fashioned English traditions. As the opening title song says, the Kinks -- meaning Ray himself, in this case -- were for preserving "draught beer and virginity," and throughout the rest of the album, he creates a series of stories, sketches, and characters about a picturesque England that never really was. It's a lovely, gentle album, evoking a small British country town, and drawing the listener into its lazy rhythms and sensibilities. Although there is an undercurrent of regret running throughout the album, Davies' fondness for the past is warm, making the album feel like a sweet, hazy dream. And considering the subdued performances and the detailed instrumentations, it's not surprising that the record feels more like a Ray Davies solo project than a Kinks album. The bluesy shuffle of "Last of the Steam-Powered Trains" is the closest the album comes to rock & roll, and Dave Davies' cameo on the menacing "Wicked Annabella" comes as surprise, since the album is so calm. But calm doesn't mean tame or bland -- there are endless layers of musical and lyrical innovation on The Village Green Preservation Society, and its defiantly British sensibilities became the foundation of generations of British guitar pop. How did the Kinks respond to the fresh start afforded by Lola? By delivering a skewed, distinctly British, cabaret take on Americana, all pinned down by Ray Davies' loose autobiography and intense yearning to be anywhere else but here -- or, as he says on the opening track, "I'm a 20th century man, but I don't want to be here." Unlike its predecessors, Muswell Hillbillies doesn't overtly seem like a concept album -- there are no stories as there are on Lola -- but each song undoubtedly shares a similar theme, namely the lives of the working class. Cleverly, the music is a blend of American and British roots music, veering from rowdy blues to boozy vaudeville. There's as much good humor in the performances as there are in Davies' songs, which are among his savviest and funniest. They're also quite affectionate, a fact underpinned by the heartbreaking "Oklahoma U.S.A.," one of the starkest numbers Davies ever penned, seeming all the sadder surrounded by the careening country-rock and music hall. That's the key to Muswell Hillbillies -- it mirrors the messy flow of life itself, rolling from love letters and laments to jokes and family reunions. Throughout it all, Davies' songwriting is at a peak, as are the Kinks themselves. There are a lot of subtle shifts in mood and genre on the album, and the band pulls it off effortlessly and joyously -- but it's hard not to hear Dave Davies' backing vocals and have it not sound joyous. Regardless of its commercial fate, Muswell Hillbillies stands as one of the Kinks' best albums. 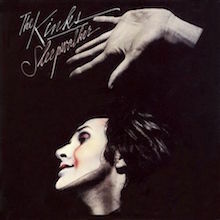 Arista had made it clear they would not accept any concept albums from the Kinks, and Sleepwalker, their first effort for the label, makes good on the band's promise. Comprised entirely of glossy arena rockers and power ballads, the album is more of a stylistic exercise than a collection of first-rate songs. Ray Davies contributed a handful of fairly strong songs, highlighted by the exceptional "Juke Box Music," which sees him in a shockingly resigned frame of mind, claiming that rock & roll is just rock & roll, and nothing more. Unfortunately, he chose to illustrate that fact by loading the rest of Sleepwalker with competent but undistinguished mainstream rock. 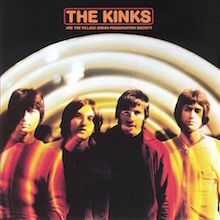 While that might have made the album a hit at the time, its processed sound and weak songs sound dated today, especially compared to the lively arena rock the Kinks later released. Preservation is Ray Davies' most ambitious project -- a musical that used the quaint, small-town nostalgia of Village Green as a template to draw the entirety of society and how it works. Or, at least that's what the concept seems to be, since the storyline was so convoluted, it necessitated three separate LPs, spread over two albums, and it still didn't really make sense because the first album, Preservation, Act 1, acted more like an introduction to the characters, and all the story was condensed into the second album. Davies intended all of Preservation to stand as one double-album set, but he scrapped the first sessions for the album, which led to record company pressure to deliver an album before the end of 1973 -- hence, the appearance of Preservation, Act 1 in mid-November. Stripped of much of the narrative, Preservation winds up playing like an explicitly theatrical Village Green, this time with specific characters -- a bit like a novella instead of short stories. There are moments where everything clicks on Preservation and they're the ones that are closest to typical Davies -- the stately "Daylight," the endearingly lazy "Sitting in the Midday Sun," the fairly rocking "Here Comes Flash," "Where Are They Now?," and the absolutely gorgeous "Sweet Lady Genevieve," a real candidate for Davies' forgotten masterpiece. Then, there's the rest of the record: unfocused attempts at story, showtunes, and characterizations, some of which are interesting, but the whole of it is rather tedious. Preservation, Act 1 winds up as listenable due to the strength of those five songs, which form the core not only of this record, but the musical drama as a whole. The rest plays as artistic hubris, which is exactly what swallows Preservation, Act 2 alive. Low Budget doesn't have a narrative like Preservation or Soap Opera, but Ray Davies cleverly designed the album as a sly satire of the recession and oil crisis that gripped America in the late '70s -- thereby satisfying his need to be a wry social commentator while giving American audiences a hook to identify with. It was a clever move that worked; not only did Low Budget become their highest-charting American album (not counting the 1966 Greatest Hits compilation), but it was also a fine set of arena rock, one of the better mainstream hard rock albums of its time. And it certainly was of its time -- so much so that many of the concerns and production techniques have dated quite a bit in the decades since its initial release. Nevertheless, that gives the album a certain charm, since it now plays like a time capsule, a snapshot of what hard rock sounded like at the close of the '70s. Perhaps not so coincidentally, Davies' songwriting fluctuates throughout the album, since it's dictated as much by commercial as artistic concerns, but the moments when he manages to balance the two impulses -- as on the disco-fueled "(Wish I Could Fly Like) Superman," the vaudevillian "Low Budget," "A Gallon of Gas," the roaring "Attitude" (possibly their best hard rocker of the era, by the way), and "Catch Me Now I'm Falling," where Davies takes on the persona of America itself -- are irresistible. Low Budget may not have the depth of, say, Arthur or Village Green, but it's a terrifically entertaining testament to their skills as a professional rock band and Davies' savvy as a commercial songwriter. "Lola" gave the Kinks an unexpected hit and its crisp, muscular sound, pitched halfway between acoustic folk and hard rock, provided a new style for the band. However, the song only hinted at what its accompanying album Lola Versus the Powerman and the Moneygoround, Part One was all about. It didn't matter that Ray Davies just had his first hit in years -- he had suffered greatly at the hands of the music industry and he wanted to tell the story in song. Hence, Lola -- a loose concept album about Ray Davies' own psychosis and bitter feelings toward the music industry. Davies never really delivers a cohesive story, but the record holds together because it's one of his strongest set of songs. Dave Davies contributes the lovely "Strangers" and the appropriately paranoid "Rats," but this is truly Ray' show, as he lashes out at ex-managers (the boisterous vaudevillian "The Moneygoround"), publishers ("Denmark Street"), TV and music journalists (the hard-hitting "Top of the Pops"), label executives ("Powerman"), and, hell, just society in general ("Apeman," "Got to Be Free"). If his wit wasn't sharp, the entire project would be insufferable, but the album is as funny as it is angry. Furthermore, he balances his bile with three of his best melancholy ballads: "This Time Tomorrow," "A Long Way From Home," and the anti-welfare and union "Get Back in Line," which captures working-class angst better than any other rock song. These songs provide the spine for a wildly unfocused but nonetheless dazzling tour de force that reveals Ray's artistic strengths and endearing character flaws in equal measure. The Kinks became arena rockers with Sleepwalker, and its follow-up, Misfits, follows in the same vein, but it's a considerable improvement on its predecessor. Ray Davies has learned how to write within the confines of the arena rock formula, and Misfits is one of rock & roll's great mid-life crisis albums, finding Davies considering whether he should even go on performing. "Misfits," a classic outsider rallying cry, and "Rock and Roll Fantasy" provide the two touchstones for the album -- Davies admits that he and the Kinks will never be embraced by the rock & roll mainstream, but after Elvis' death, he's not even sure if rock & roll is something for mature adults to do. Over the course of Misfits, he finds answers to the question, both in his lyrics and through the band's muscular music. Eventually, he discovers that it is worth his time, but the search itself is superbly affecting -- even songs like the musichall shuffle "Hay Fever," which appear as filler at first, have an idiosyncratic quirk that make them cut deeper. Although Ray would return to camp on their next album, Misfits is a moving record that manages to convey deep emotions while rocking hard. The Kinks hadn't made a record this good since Muswell Hillbillies. 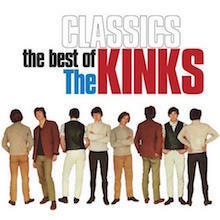 This very good greatest-hits collection focuses on The Kinks’ early work, from the original power chord anthem “You Really Got Me” and following through to 1970’s Lola Vs. Powerman and the Money-Go-Round, Pt. 1. A few expected hits such as “All Day and All of the Night,” “A Well Respected Man,” and “Dedicated Follower of Fashion” have been left off, but any album that includes “Tired of Waiting for You,” “See My Friends,” “Till the End of the Day,” “Sunny Afternoon,” “Dead End Street,” “David Watts,” “Waterloo Sunset,” and the lesser-known “This Time Tomorrow” has obviously been put together with a fair amount of thought. For years (decades? 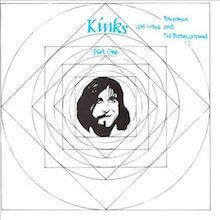 ), The Kinks’ catalog has been in and out of print to varying degrees, with different labels reissuing and deleting classic albums seemingly at whim. The best advice is to pick up Kinks material as it becomes available, ensuring it’s in your possession should it suddenly disappear from the catalog.